A woman’s strength isn’t just about how much she can handle before she breaks. 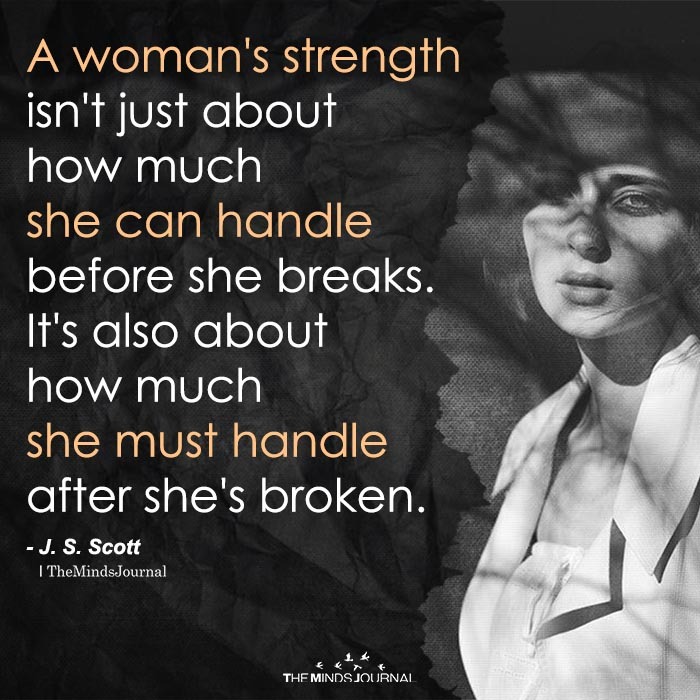 It’s also about how much she must handle after she’s broken. Doesn’t that go for anyone though?